This level is again have jellies and 9 are with grill box plus 9 chocolates and 9 meringue blockers that we must need to break. 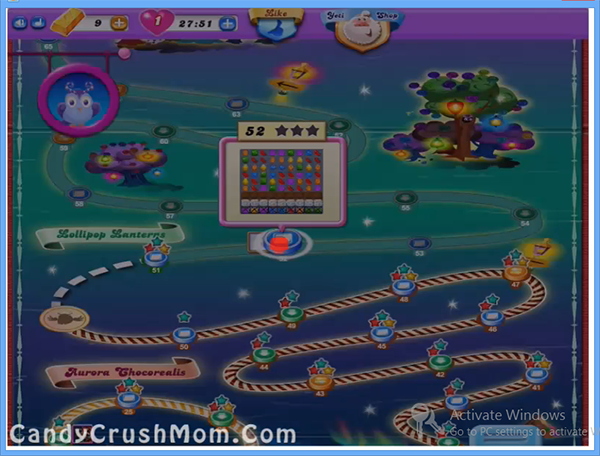 To complete this level first you should try to break meringue blockers then all chocolates so they wont increase and then use moves in breaking jellies or in making special candies. You should also try to struck moon by breaking candies that Odus owl have and it will break same color candies and will give chance to make colorbombs or other special candies. We completed this level with 60260 score within 29 moves and remaining moves converted to fish booster plus got two colorbombs that help to score more points on board.